But none at all for this world or the next. 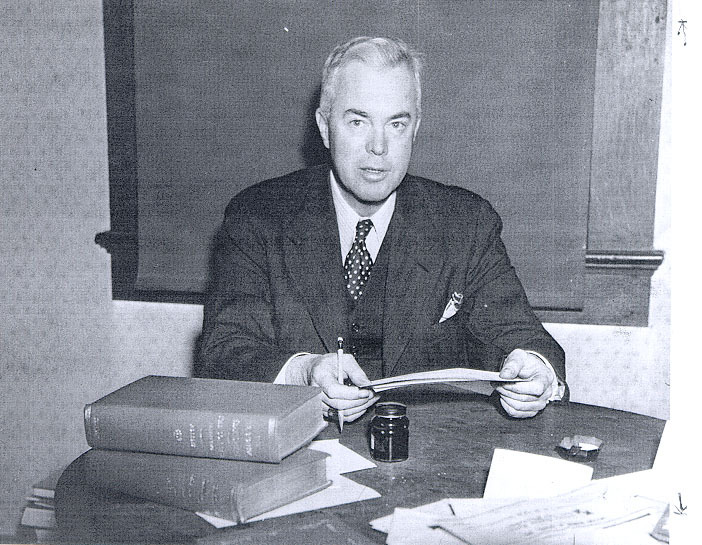 . .
Hillyer, a member of an old Connecticut family, graduated from Harvard in 1917, where he was editor of the Harvard Advocate. That same year he published Sonnets and Other Lyrics before becoming an ambulance driver in World War I along with John Dos Passos, a Harvard friend. Serving as a Harvard English instructor in 1919, he described himself as “a conservative and religious poet in a radical and blasphemous age.” He published The Five Books of Youth and Alchemy: a Symphonic Poem. After spending a year in Copenhagen, he and classmate S. Foster Damon translated a Book of Danish Verse (1922). He married Dorothy Hancock Tilton in 1926 and that year returned to Harvard. They had one son. In 1937 he was promoted to Boylston Professor. His published books included his Collected Verse (1933), which won a Pulitzer Prize. 1943 marked his divorce. In 1945 he left Harvard and taught at Kenyon College and the University of Delaware. The Hillyer Papers at Syracuse University Library include not only photographs and clippings but also an abundance of incoming letters from Conrad Aiken, Van Wyck Brooks, Witter Bynner, John Dos Passos, Robert Frost, Howard Nemerov, Louis Untermeyer, Peter Vierick, Archibald MacLeish, Marianne Moore, and Edward Weeks. The scar where once a fishhook tore the flesh. The body bears these grudges of its own. Except for this indelible reminder. All names are lost, lacking a cicatrice. When love and memory long have been at peace. Until the circles broke against the bank. Rose from the reeds and warned us to return. That skips the surface of the years between. Two small boys skipping pebbles over the pond. Reflected in the window glass. Brighter that that the garden made. Is much more ruthless than the real. Hit nothingness, and hit it hard. That turn to yellow dust as fine as smoke. To scatter more destruction through the night. World war and revolution and kind friends. Where your Vermont meets my Connecticut. Has bound us ever closer, mind and heart. Were piled so deep we could not pass. Of blood long soaked into the grass. The Mort Homme darkens all the ground. Convey our shadows through the shade. But peace will not be out of mind. God help us! and the road is blind. Our sustenance, not archaeology! . . .
to dig old garbage from a kitchen midden . . . Went up in smoke. The great shine down the ages. — Excerpted from the Collected Poems of Robert Hillyer (1961) by Alfred A. Knopf.